Unplugged Thursdays in the Chapel @ Riverbend Centre for the Arts is an acoustic concert series using the most talented local artists in Austin. The artists will be playing in our stunning 300 seat chapel in an intimate setting. The Peterson Brothers were born and raised deep in the “Lost Pines” of Bastrop, Texas. Alex, 16, on bass and violin and vocals; and Glenn Jr., 18 on guitar and lead vocals are two brothers, one sound. Their music combines the classic blues sounds of legends with their own unique blend of soul-infused inspiration. In just a few short years they have had the opportunity to open for B.B. King, Willie Nelson, Los Lonely Boys, Lisa Marie Presley, and many more. They have also played with Buddy Guy, Michael Burks, and Pinetop Perkins. 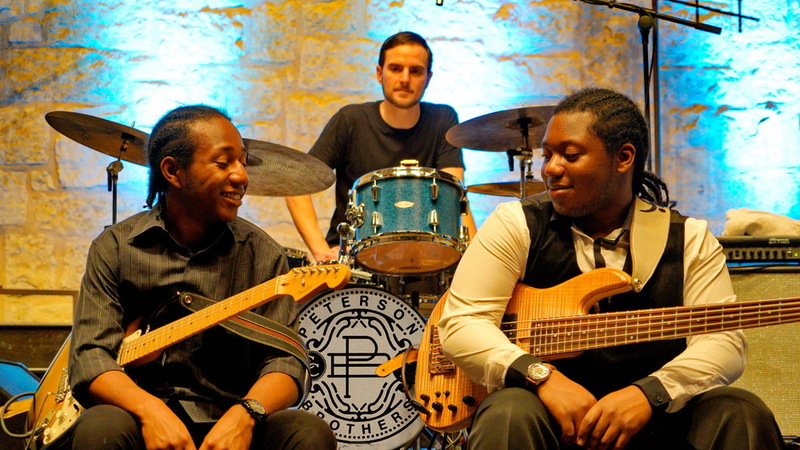 The Peterson Brothers have gained the attention of the legendary Bootsy Collins who has become one of their mentors. Recently, the City of Austin has announced that Thursday the 3rd of October (Stevie Ray Vaughan's Birthday), will be named "Peterson Brothers' Day" in Austin, a huge honor in recognition of their musical achievements to date.